Young employees are those who have good ethics and follow Uncle Ho’s teaching as well as work hard and create initiatives to produce high efficiency, improve administrative process and take part in charity activities for the community benefit. During seven years, 181 young employees had been lauded for their efforts in work. At the ceremony, young people contributed to raise fund to support people in the storm-hit provinces. Then, young communist members together cleared a backlog of paper to register business. 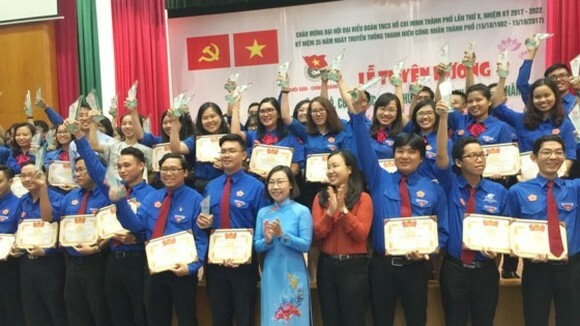 In the morning, members of communist unions in districts voluntarily resolved all existing documents relating to land formality, taxation paperwork and issue driving license for people.